Japan will be dancing the night away come this Thursday! Atlus' upcoming Persona 4 rhythm title will soon be dancing into a store near you here soon, and there are plenty more character trailers hitting the internet to celebrate. Seriously, there are in the neighborhood of 12 or 13 of these now, aren't they? If not, it certainly does feel like it. 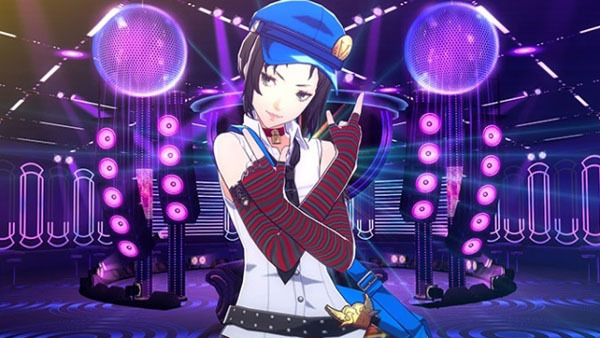 This time around the videos feature both Marie and Tohru Adachi, who will be released as paid DLC characters for you to get your groove on with in the game's Free Dance mode. That's the only place you can play with them in, so if you're interested in purchasing them, keep that in mind. Marie will be available on July 30 and Adachi will be released on August 6. Persona 4: Dancing All Night will be available for purchase for PS Vita in Japan this Thursday, and fall for North America.